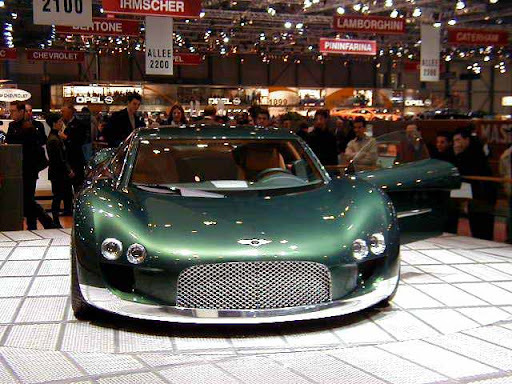 The Bentley Hunaudières is a concept car built by Bentley for the 1999 Geneva Salon International de l'Auto. It is powered by a Volkswagen 8.0-litre, naturally-aspirated, W16 engine that generates 623 brake horsepower (465 kW; 632 PS) of power at 6,000 revolutions per minute and 760 newton metres (560 ft·lbf) of torque at 4,000 revolutions per minute in conjunction with a five-speed manual transmission. 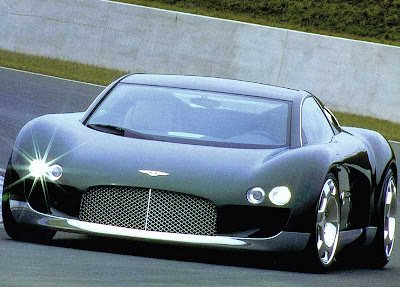 It is capable of a 350 kilometres per hour (220 mph) top speed. The Hunaudières' name pays homage to the famous straight of Circuit de la Sarthe where Sir Tim Birkin in a "Blower Bentley" overtook Rudolf Carraciola in a Mercedes-Benz SSK at 125 miles per hour (201 km/h) with one wheel on the grass down the Hunaudières straight.